T here’s only one commercial conch farm in the world and it’s located on a 28 square mile patch of sand called Providenciales, an island speck in the impossibly beautiful Turks and Caicos archipelago. The Turks and Caicos Islands (TCI) are a sparsely inhabited and pristine chain of coral atolls lying 575 miles southeast of Miami, just below the Bahamas. Protected from the worst Caribbean weather systems by the large nearby landmass of Hispaniola, TCI enjoys an idyllic 350 days of sunshine per year and a gentle trade wind breeze that keeps the mercury from rising too high. With little commercial development, the islands’ powdery sands, luminously turquoise waters and laid-back vibe are a magnet for travellers whose idea of a great vacation is to chill out on a perfect beach devoid of touts and tiki bars. I came to TCI in search of conch. Not as a naturalist but as a hungry traveller. Every year Providenciales (Provo) hosts the Turks and Caicos Conch Festival, a rambunctious celebration of TCI culture and all things conch. Conch blowing and conch “knocking” contests are accompanied by traditional ‘ripsaw’ folk music played on a collection of instruments, including a carpenter’s saw. Local chefs offer up their best conch dishes, vying for the title of Conch Champion. I arrived in TCI just after the Conch Festival had drawn to a close but Provo was still abuzz with conch fever. Until now I’d thought of conch as a rubbery textured novelty food, on a par with alligator. I was eager to see if a prizewinning conch dish would make me change my mind. There are many species of conch (pronounced konk) but Strombus gigas, queen conch, is the most popular edible variety. 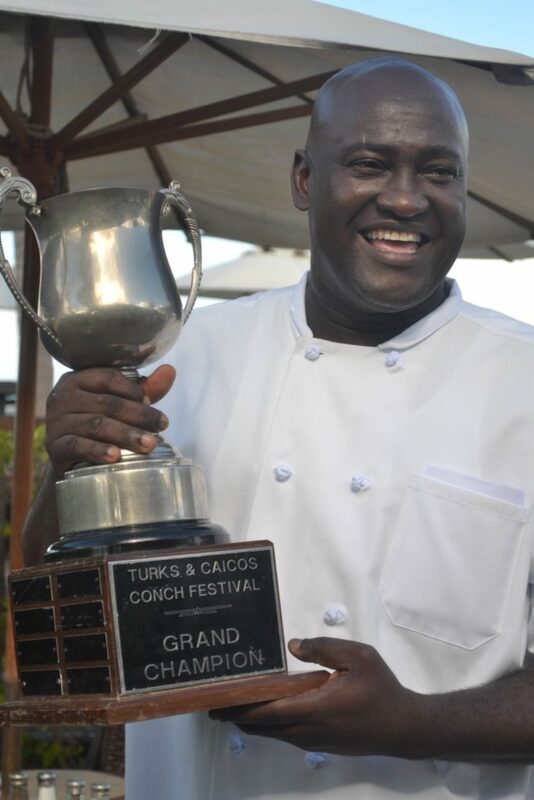 Its evolution from humble food to gourmet fare is a lesson in Turks and Caicos history. Seafood has always been a mainstay of the TCI diet. The indigenous Lucayan Indians (wiped out by disease soon after European contact in the fifteenth century) were fishermen and subsistence farmers. Conch and other sea creatures were an important source of protein. After the Lucayan’s demise, TCI was home to an itinerant population of pirates and Bermudan salt rakers who adapted conch to their native foodways. In the late 1700s British Loyalist cotton planters exiled from the American south arrived in TCI, bringing with them the Africanized culinary traditions of the Carolinas Dishes like conch creole, curry conch and gumbo-like conch chowder reflect the influence of these immigrants from the Caribbean and the Carolinas. Attempts to establish a plantation culture in TCI failed because the islands had too little rainfall to produce the rice needed to feed slaves. When the planters moved on, the slaves who stayed behind became TCI’s first settlers. The staple slave dish of pigeon peas and hominy, enriched with whatever the fishermen brought home, became TCI’s national dish, Peas and Hominy and ‘Penn On’ (depends on). ‘Penn On’ might be fish, rock lobster, turtle or conch. Conch was rarely eaten fresh. Hooked out of its shell, the meat was hung out to dry (often on the same line as the laundry), stored in the rafters of the house and reconstituted as needed. 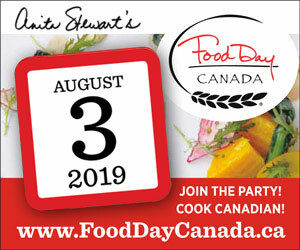 Dried conch added flavour and nutritional value to peas and hominy and to fritters made of cornmeal. The English overcame Spanish and French interests and took possession of TCI in 1710. Conch stews and cream soups appeared along with British colonialism. More recently international chefs attracted by a life of year-round sunshine and open-air kitchens have settled in the islands, adding a layer of sophistication to the local dining scene. Conch is a great source of protein and is very low in fat. It also contains a large amount of iron and vitamin B12. I quickly discovered that freshly harvested conch is delicious. It tastes quite similar to calamari and has the same silky texture when prepared correctly. Although naturally chewy conch meat can be softened by long slow cooking, TCI cooks prefer to tenderize conch flesh by pounding it with a mallet. Traditionally, a club made from heavy lignum vitae wood was used. Nowadays a metal mallet the size and shape of a large meat hammer is the preferred tool. “You have to pound conch until it is thin as a doily,” explains Jeff Rollings, owner of the Cabana Bar, a casual restaurant located in the Ocean Club Resort on Grace Bay Beach, a 12 mile stretch of perfect sand that sweeps in a graceful arc along Provo’s northern coast. Rollings, who opened his first Provo restaurant, Hey Jose, in the 1980s, explained the basics of conch cuisine. 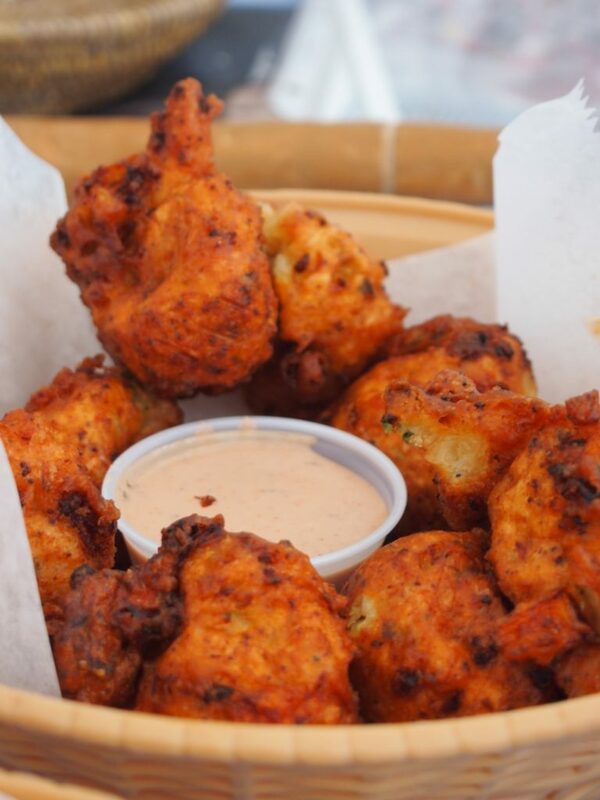 Conch fingers are strips of tenderized conch meat, dipped in batter, deep fried and served with a dipping sauce. Cracked conch (larger pieces of battered and fried conch is served as a main course with rice and peas, or as the filling in a conch sandwich or burger. Conch fritters are deep fried balls of ground conch meat that’s been mixed with flour, cornmeal and a sprinkling of fresh chile peppers. TCI natives have deep frying down – these snacks are never greasy and are the perfect accompaniment for a frosted bottle of locally brewed Turk’s Head beer. (According to local lore TCI takes its name from the Turk’s Head Cactus, which sports a bright red fez-shaped topknot on its spiky green body. People born in the islands are called ‘belongers,’ not as you might think because they belong to the land but because they once ‘belonged’ to colonial overlords. Despite its derogatory nuance, the name has stuck). High-end tourism is now the most important industry in TCI. Club Med arrived in the 1970s and low key tourism continued until the 90s when the islands’ tranquil and untarnished beauty was discovered by wealthy travellers, many of whom have built multi-million dollar residences or purchased condominiums on some of the world’s most spectacular real estate. These high rollers have attracted entrepreneurial restaurateurs and world class chefs, giving rise to a sophisticated dining scene on Provo. The new wave of expat chefs started using conch raw in ceviches and salads. Conch in ceviche is typically mixed with chopped red onions, tomatoes and bell peppers and dressed simply with lime juice. A gourmet version I enjoyed at the elegant Opus Wine Bar Grill was kicked up a level with a marinade of mixed citrus juice and sesame oil. Inspired to try conch every way I could find it, I convinced my buddy Anne DesBrisay, restaurant critic for the Ottawa Citizen, to join me on a conch tasting tour of the island. 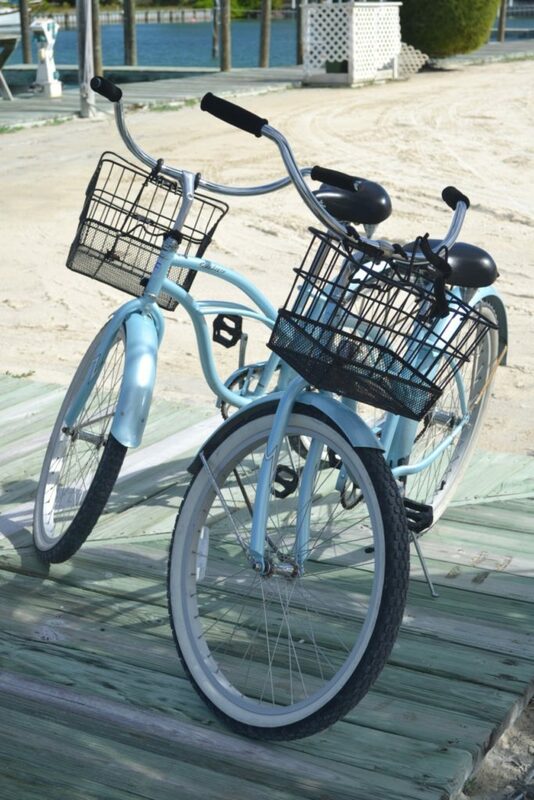 We borrowed a couple of bicycles from the Ocean Club West’s turquoise fleet, slapped on some sunscreen and set off. If I was smarter I’d have ridden in front — upwind of Anne’s exuberant warbling of rock n’ roll tunes in a church choir voice – but I let her take the lead. Wheeling along in shorts and flipflops under an azure sky, we stopped wherever we found a new conch dish on a menu and traded votes for the most creative uses of Strombus gigas. We had conch and sweet potato soup, conch ravioli, conch wontons, conch crepes, jerk conch, stir-fried conch and champion dish at the 2011 Conch Festival, conch empanadas. Conch burgers were nothing to write home about but chowder — interpreted differently everywhere we tried it, was a winner every time. I vowed to leave with a recipe for my new favourite soup in my pocket. Abigail Marlow, co-owner of Opus Wine Bar Grill and Seaside Café (located in Ocean Club’s sister resort, Ocean Club West), kindly obliged with her recipe for a creamy tomato-based chowder studded with tender nuggets of conch, flavoured with herbs and spiked with scotch bonnet peppers. At da Conch Shack, a funky pink and blue eatery overlooking a gorgeous little beach at the eastern end of Grace Bay, I wheedled the recipe for a terrific conch creole from chef Mark Clayton. Our vote for the best non-traditional conch dish went to conch Bolognaise, created by British chef Paul Newman at Coyaba, an elegantly rustic restaurant in a pretty tropical garden setting. ”Conch has more protein than any other shellfish,” explained Newman. “I wanted to showcase its meaty texture, so I cooked it like beef, in red wine.” In place of spaghetti, this Bolognaise came with a custardy timbale of truffle and parmesan infused linguine. Apparently Beyoncé and JayZee like Newman’s cooking. We were not surprised. If you’re not obsessed with conch or (heaven forbid!) don’t like it, try a different TCI delicacy, the fat-tailed local lobster. These pristine beasts are at their best when simply grilled and served with the luscious tail meat bursting out of its dayglo orange shell. Catch of the day is another great option, especially in fish tacos. Snapper, grouper and mahi mahi were on the menu when we were in Provo but the catch varies according to the weather and how far out to sea the fishermen can go. Having eaten more than our fare share of conch we were relieved to learn that although queen conch populations in some areas of the Caribbean (including Honduras, Haiti, and the Dominican Republic) are threatened, according to CITES, conch fishery in TCI is well managed. The TCI Conch Farm was established by Chuck Hesse, an American yachtsman who was shipwrecked on a Provo reef in 1976 and decided to stay. He built a conch hatchery on the north-eastern tip of Provo in the 1980s and began raising conch commercially for export. The facility suffered extensive hurricane damage in 2007 and 2008 and was furthered battered by hurricane Irene in 2011. Currently the farm produces conch only for the local market but it’s open to visitors and a tour is a great way to learn about the life cycle of these tasty molluscs. Conch take three years to mature and can live for up to 40 years. Conchs harvested from the sea for food are generally around ten years old. In order to bring conch to market faster, the Conch Farm encouraged local chefs to experiment with conch “escargot,” smaller conch that can be cooked like snails. The larger conch they sell to local restaurants are around four years old. And I’d eat conch all the time if I could get it as fresh as I found it in Turks and Caicos and dine with my toes in powdery sand on the most beautiful beach in the world. Susie Ellison’s primary motivation is to eat the world. She travels light but always has salt and pepper, hot sauce and a bottle opener in her suitcase. She steadfastly maintains that eating every conch dish available in Provo was her idea, not Anne’s.